Ashwood Restaurant Park, a three tenant center along Ashford Dunwoody Road near Perimeter Mall in Dunwoody, could be redeveloped in the coming months, anchored by a new grocery store. An affiliate of Atlanta-based Branch Properties, LLC filed plans in Dunwoody to redevelop the 10 acre property it owns across Ashford Dunwoody Road from Perimeter Village, a Weingarten Realty-owned Walmart Supercenter-anchored center. The project would add new retail and restaurant space, improve the streetscape, and introduce new sidewalks and greenspace, according to the plans. A 6,800 square foot P.F. Chang's is the only restaurant on the property in business cuurently, following the 2017 closure of Brio Tuscan Grille and the New Years Day 2018 closure of McCormick & Schmick's. Branch is likely planning to buy out the P.F. Chang's lease to allow for the redevelopment to proceed, if approved. Branch may also have space set aside for them in the new development, should they wish to be part of it. DeKalb County tax records indicate the existing center was developed in 1998. 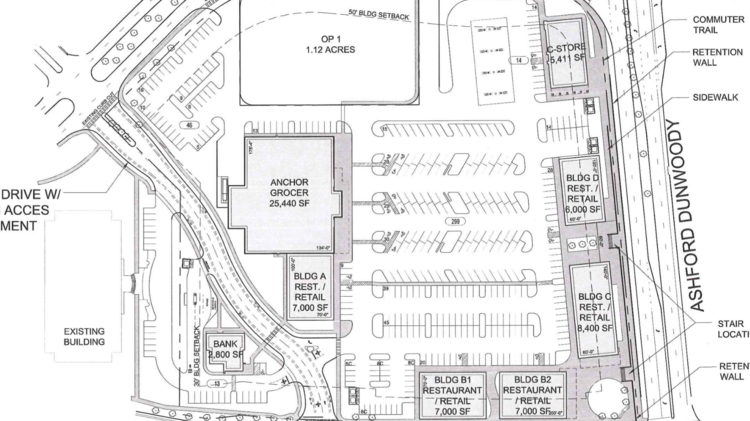 The grocery store, as shown in the proposed siteplan, would be 25,440 square feet. Plans show 35,400 square feet of additional restaurant and retail space, along with a convenience store and bank. The redevelopment would more than double the amount of leaseable square footage on the property. 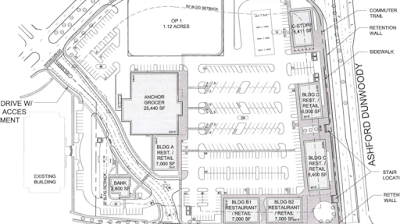 The grocery store, unnamed on the siteplan, could be a Publix GreenWise, one of the Florida-based grocer's Whole Foods-like markets. The first Atlanta area GreenWise is set to anchor a new Fuqua Development project in East Cobb and could open as soon as late 2019. When officially confirming the East Cobb store in September, a Publix release said "The company continues to look for additional GreenWise Market locations throughout its operating area." The size of the grocery anchor matches with the targeted size for new GreenWise stores and Publix operates two nearby locations, one in Dunwoody Hall on Chamblee Dunwoody Road, and another in Publix at Perimeter, a center at the corner of Hammond Drive and Peachtree Dunwoody Road. Publix is reportedly in favor of opening GreenWise stores in close proximity of existing stores. The store could serve as replacement for former shoppers of nearby Sprouts Farmers Market which closed December 23. Real estate sources tell ToNeTo Atlanta that the roughly 5,400 square foot, sixteen pump convenience store and fuel center is likely to be a QuikTrip. Fuel stores are incredibly rare in the area, with the only one in the immediate vicinity being a 20 pump Exxon station across from Perimeter Mall along Ashford Dunwoody Road. As far as banking possibilities, Regions is a likely candidate for the 2,800 square foot bank site given their recent growth spurt in metro Atlanta, including new branches in North Decatur Square near Decatur and on Johnson Ferry Road in East Cobb, among other branches. 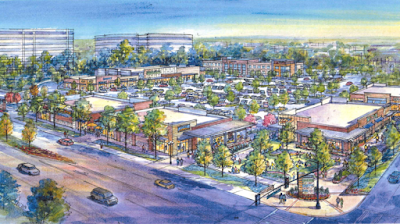 A large retention pond on the property, a popular amenity for restaurant patrons electing to sit on a patio, would be filled in to allow for parking and retail buildings along Ashford-Dunwoody, according to the siteplan. The project is set to go before Dunwoody’s Zoning Board of Appeals Thursday, February 7. Branch Properties revived plans in 2017 to redevelop a freestanding former bank nearby, but as of this fall, real estate sources indicate the plan is again dead. The property, 84 Perimeter Center East, would have been redeveloped into an approximately 200 room, twelve story hotel as well as about 50,000 square feet of retail & restaurant space between two buildings. Are you in favor of the proposed redevelopment? Do you think the area can handle all that is being proposed? What restaurants or retailers would you like to see open in the redevelopment if it gets approved? I imagine there will be fierce opposition to this plan. Traffic is horrid in that area. Dunwoody residents will fight it. Maybe I'm looking at the site plan wrong, but is this filling in the huge retaining pond on the property? I doubt the city would be happy with that. Also, CloseOTP is right about the traffic. I hate the Canadian geese. This will reduce the geese in the area, good. My wife is looking for replacement for Sprouts, good. I would love to have a QT on my daily commute from SFD Dunwoidy to State Farm, good. Winner all around for this 22 yr Dunwoody resident. 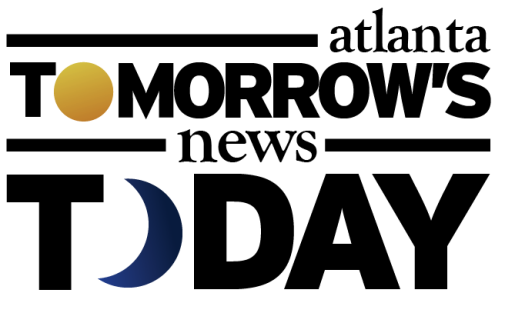 The Dunwoody Homeowners Association will host a representative from Galloway Law Group (representing Branch Properties) THIS Sunday January 6 at 7:30 PM. NOrth DeKalb Cultural Center 5339 Chamblee Dunwoody Road, Room 4. This looks like it may be the only opportunity for public dialogue before the project goes to ZBA to request approval. I like the pond. Hope they don't follow through on that part of the plan. They certainly aren't going to leave the pond there - it is too big. They'll move the storm water retention underground. I agree with Mr. Barton above that the geese are a menace. They poop all over the place. I don't think you'll see as much opposition to this development as some think. The area is absolutely in need of another gas station. That Exxon charges whatever they want because there is zero competition, and they take full advantage of it with sky high gas prices. For the record - the traffic there was already bad before Sembler redeveloped the old closed Bell offices into the SuperTarget development there. That was supposed to bring the traffic apocalypse, but it actually improved traffic by creating avenues on both sides of the development. Back when this development had all three restaurants, I used to hate the required valet parking. Especially when there were 300 open parking spaces right there but you had to pay some guy to park your car for you. You want your fake lake to remain yet you didn’t patronize the restaurants that were built around it and they had to close. This development will be great for this corridor. It is a multimillion dollar property and you expect the owners to sit on it just so you can see a lake out of the corner of your eye when you are passing by on the way to Dine elsewhere. Regarding Mr. Barton's comments: these comments are so stupid. You mention that you are a resident for 22 years so this means that you enjoyed Dunwoody as is for that long, otherwise, you would have moved out. So during that time, you purchased gas at BP and Chevron in Dunwoody and you shopped for groceries at First Market, Krogers, and Publix and had Wal Mart and Target available which are across the street from the proposed development. And you had Trader Joes and Whole Foods in nearby Sandy Springs. Additionally, Krogers has increased organic foods selection. And there is Costco nearby. Sprouts has only been in Dunwoody for a very brief time so you must have enjoyed all the other grocery stores mentioned since you didn't move out. So now you think a new grocery store is needed. That sounds so stupid and bizarre. You somehow lived fine with all the grocers but now you need another option. Aside from the stupidity of that comment, there is no guarantee that the world is going to flock to a new grocer at that location (they won't - they have Wal Mart, Target, Publix, Kroger, Costco). Regarding the pond, there is no inherent right for any owner of any property to be granted whatever variance that they want so they can build whatever density that they want. A feature and valuable part of the best towns/cities is having some open space versus developing and paving every square inch. Maybe the city can purchase some or just not approve any variance. Regarding QuickTrip, it is nice and I enjoy it, but that location is a bit bizarre for that. Our lives will not all be made better with a QT at that location. There is a desire for less banks in Dunwoody and more restaurants or whatever, but there is no desire for more gas stations.  Folks moving in are paying a lot for homes and a lot in taxes, and for long-time homeowners like you to be able to have enjoyed Dunwoody as is (based on hardwork of older residents who fought for setbacks, limited density, etc) and then favor high-density, is an insult to the new homeowners who will be further bogged down with more density and traffic. As for geese, they are not native to this area and should be removed - simple to do if the county/state put together a plan. Building this density in order to move geese is yet another stupid comment. Was that comment a joke or was that serious? Regarding comment on Jan 4 on the fake lake and blaming citizens for not patronizing restaurants: the restaurants seemed to do well and were supported for a while. So why blame citizens for non-patronizing when in fact, they did patronize them? There is a theory in business that most businesses close after time as part of the ebb and flow of business. In this case, it appears that there is just too much retail in that area (and everywhere). There are not enough folks out there who can visit all the retail locations forever. Everyone doesn't shop every day at every location. Adding more retail there is not going to work. And the proposed development with no setbacks and stores up against the street are not inviting. It ends up looking like a giant cluster of buildings. This occurred at the Kroger plaza in Sandy Springs on Hammond across from Whole Foods. They redid that several years ago and added too much retail and placed the buildings up against the street. It has a very uninviting feel to it and there is too much retail. Same thing happened at Prado in Brookhaven, the plaza with Target and the brewery. There was a lot of retail placed in there during redevelopment and it has an uninviting feel from the outside as well as having too much retail. All this density is too much - there are not enough folks with available incomes to patronize all these stores.